With one arrow Raama kills taataki, the mighty raakshasi. With two simultaneous arrows he kills subaahu and throws Maaricha seven seas away. Effortlessly lifts the Shiva dhanush, which was pulled to the court by around 50000 well built people. Raama kills Khara, Dhushana, their 1000 brothers and their army in 14 minutes single handed. Raavana gives 30 days time to sita maata to decide if she will marry him, else will kill her. Bharata took word from Raama saying that if he does’nt return on the next moment of 14 yrs of aranyavaas, then he will sacrifice himself. Raama and his army reaches the shores of ocean with barely 30 days in hand. They have to cross the ocean, defeat Ravana & his army, take sita back to ayodhya in around 30 days time. With such a press for time and given the strength of Raama, Lakshmana suggests Raama not to spend time asking ocean God for way, but to order him. We, for our small petty achievements in life, are very proud (ahankaar) and given a chance, display our strengths. The way of great people is quite different as shown by Lord Raama. One must never use the strength or powers just because they exist with him, but judiciously use them for the benefit of everyone, upliftment of Dharma. Controlling one’s ahankaar is one the most difficult things. If it is controlled we will see a more peaceful world. Always people who are humble and obedient are only respected by others. If Lord Raama Himself is so humble, as mere normal human beings imagine how much obedient we must be to our elders and parents. Long ago there used to live an obedient shishya of the great Paila maharshi. His name was Udanka. Udanka, due to his obedience, learnt quickly his lessons. After completing his Vidyaabhyaasam, before leaving the Guru-aashramam, Udanka requested his Guru to take Guru-dakshina. Paila maharshi replied “you being a shishya of me is itself enough. It is difficult to get good shishyas like you. Please go on”. Upon many times being requested by Udanka, finally Paila maharshi said “do the work that your Guru-patni tells you and then leave”. Respecting elders and parents is one of the foremost principles of Indian culture. Since the saptarishis always speak the truth, whatever they spoke became true. With the power of truth, even the unavoidable death can be stopped! Materialistic pleasures were never the goals of Indians. People used to be satisfied with what they had and within what they had, used to help others. Their hearts were filled with pure love, friendship and bhakti. The story of Sudaama, the best friend of Lord Krishna, stands as an outstanding example for this. Sudaama and Krishna Bhagavan were good friends. The friendship started at their gurukulam with Shri Saandeepa. As always duty takes more priority than everything. Hence, after completing their studies they had to part. However, neither Krishna nor Sudaama could forget each other. Sudaama, knowing who Krishna really was, also had true devotion for him. Sudaama never was interested in earning lot of money or other such aihikechchas. Once after many years, not able to bear the separation from Krishna anymore, sets off to meet Krishna. On hearing the news of his friend’s arrival, Krishna runs to the city gates to receive Sudaama personally. Krishna, the paramaatma, hugs Sudaama several times and they break into tears with uncontrollable aanandam. Krishna takes Sudaama to his palace and makes him sit comfortably on the shayanaasanam of Krishna and Rukmini Devi. Krishna, whose feet Brahma himself washed to produce the holy waters of Ganga, washed the feet of his friend, together with Rukmini, with utmost care. Then the Lord of the worlds, purifies himself, his queens and the palace with the paada jalam of the great scholar, Sudaama. Though Sudaama was very poor and did not even have money to eat food, he did not even think about it while he was with Krishna. Krishna took the atukulu brought by Sudaama for him and commented that it was one of his best ever meals. Both of them talked a lot, till their hearts were full and finally Sudaama returned to his house with a full heart, thoroughly satisfied with the Lord’s sweet words. Money, property and other pleasures are Kshanabhanguraas and as a person keeps satisfying them, they will only increase. Hence, like Sudaama, one needs to be content with what he has. Even given a chance to ask anything from Krishna, he did not choose to ask him! The nature of pure friendship is exposed by Krishna and Sudaama. Krishna, being the lord of the universe, washed the feet of his friend and purifies himself with the paada-jalam. Sudaama, though was extremely poor, never asked Krishna for wealth and make friendship a business. Notice that only a guru is one who makes a person meet God. This is reflected clearly in the story. It is because of Saandeepa that Krishna and Sudaama knew each other and met each other again. Krishna making his friend sit on his shayya, talk with him what Rukmini and he talk intimately and receiving Sudaama at the gates of the city show how intimate & sincere friendship must be. The kind of respect one must give to an Atithi and a scholar is well brought out by Krishna. Self-contentment gives a man the power to control any of his attraction towards the wrong path. If a person is not self-satisfied, he will always have ever increasing greed. Even control over the universe would not give him satisfaction. In Indian culture vairaagyam was always given ultimate importance. But careful, there is a very thin line that separates vairaagyam and laziness. In vairaagyam all karma is done but without expecting anything in return, without being involved in the materialistic aspects of karma. Bhagiratha, with his unparalleled effort to bring Ganga to earth, showed us how much effort a man can put in and as a result what wonders can be done. After purifying himself in a pushkarini, it starts tapas with extra-ordinary concentration. Starts with padmaasana and in winter stood in the freezing waters of the lake with water up to chest! In Summer stands in the middle of burning pancha-agnis (four agnis + sun) and steadily stared at the sun with eyes wide open (all the while concentrating on Brahma deva)!! During the first few days, he had food only once a day. Later it was once in a few days. Then it became once in a month. After that, he just used to drink a little water and continue his ‘Tapas’. Finally the air was his only food!!! There are cowards, who do not begin their work at all, afraid that some trouble may arise midway. Those who begin but later give up the task, afraid of the difficulties that arise. Brave people who belong to a third group. They continue to work in spite of even an army of difficulties, and finally achieve the goal. Bhagiratha belonged to this third category of brave men. He again began a severe ‘Tapas’ to please Lord Ishwara. With folded hands, and standing on one leg, he meditated on Lord iswara with the deepest concentration. So a whole year passed. Pleased with Bhagiratha’s devotion Lord ishwara takes the immense force of Ganga and controls her in his jataajutam. He completely stops her from flowing to teach her a lesson (she was a mischievous girl, proud of her strength! ), but for Bhagiratha it was another difficulty… But he again with tapas pleases Lord Shiva to release Ganga down to earth. Ganga followed Bhagiratha shyly and slowly, like his daughter (Bhaagirathi). But she grew a little mischievous, though Shiva taught her a lesson once, when near Jahnu maharshi’s ashram. She wandered all over the Ashrama like a small girl and the entire place was filled with water. Disturbed from tapas by it, Jahnu maharshi in a single gulp swallows her entirely. And suddenly difficulties again for Bhagiratha. But it is not the first time for him, so immediately pleases Jahnu maharshi (Jaahnavi comes out of Jahnu maharshi’s ear) and finally sends his ancestors to higher worlds…..
Brave people continue to work in spite of even an army of difficulties, and finally achieve their goal. Man can achieve wonders, once he puts in effort and dedication…. Let us all put effort, learn all the good qualities and be true person. Impossible is nothing. One day, near the end of 12 strenuous years of vanavaasam of pandavas, a deer rubbing its head against the samidhas of a brahmana, by mistake carries it away and runs into the deep jungle. The brahmana, knowing that the samidhas were carried away by deer, cried for help. Without them he cannot perform yagnyas. On listening to the cries, immediately pandavas set out for them. They all run deep into the jungle but loose track of the maaya deer. After a very long chase, with great thirst, they sit under a banyan tree with despair and wonder the reason for not being able to render even a trifling service to the brahmana. Yidhishtara to divert their thinking, asks Nakula to bring him some water. Nakula, who was suffering with very strong thirst, hurriedly wanted to drink water from the pond. An Yaksha’s voice from the pond said “Do not be rash. This pool belongs to me. O son of madri, answer my questions and then drink the water”. In his extreme thirst Nakula continues to drink water and falls dead. Rest of the pandavas follow nakula and fall dead, except Dharmaraaja. Dharmaraaja instead starts answering the questions of the Yaksha. He, with great ease, answers all the questions of the yaksha. Pleased with dharmaraaja, the Yaksha grants him a boon. Dharmaraaja did not ask the lives of any of his brothers, instead he asked the yaksha to return the samidhas of the brahmana! Impressed by the character of dharmaraaja, the yaksha grants him another boon: “One of your dead brothers can now be revived. Whom do you want to revive?”. Yidhishtira asks for the life of Nakula, after thinking for a while. The yaksha asks him: “Bhima has the strength of 16000 elephants and is the most dearest to you. Arjuna, whose prowess in arms is your protection, is the greatest warrior. Why do you choose Nakula instead?” . Dharmaraaja replied: “O Yaksha, dharma is the only shield of man and not Bhima or Arjuna. If dharma is set at naught, man will be ruined. Kunti and Madri were the two wives of my father. I am surviving, a son of Kunti, and so, she is not completely bereaved. In order that the scales of justice may be even, I ask that Madri’s son Nakula may revive.” The Yaksha was pleased with Yudhishthira’s impartiality and granted that all his brothers would come back to life. The yaksha was none other than Lord Yama. He also blesses him saying that the agnyaatavaasam will go on fine. Draupadi shows the boundaries of following Dharma. May be none can be better! Ashwatthaama, the chiranjeevi, does a daaruna krutyam after the Mahaabhaaratam. Unusual to his nature, He, without even little daya, beheads the sleeping babies of draupadi — the upa-paandavas. Draupadi realizes what happened. All her 10 sons, who were little baalakas, who were sleeping, who never did any kind of harm to Ashwatthaama and who cannot even react to the harm committed to them were lying in a pool of blood. Draupadi breaks down to tears and weeps in great sorrow. Arjuna very sad himself, consoles Her and says it does not look nice for a Veera maata to cry like this. He says that He will immediately avenge the act and kill Ashwatthaama. On killing him, she can take bath standing on his head. Immediately Lord Krishna and Arjuna set out on their Hanumadhdhvaja ratham to catch the fleeing Ashwatthaama. Seeing that Arjuna is closing by his ratham and that his horses are a little exhausted, Aswaththaama sees Brahmaastra as the only way to save himself. Though not knowing the way of retrieving the astra, he immediately uses Brahmaastra on Arjuna, after stopping the ratham, doing aachamanam and purifying himself. Lord Krishna orders Arjuna to use Brahmaastra to counter Ashwatthaama’s. Arjuna also purifies himself, does achamanam, does a pradakshina to the Almighty and uses Brahmaastra. The two astras, one like Agni and the other like sun, fight each other and in no time the worlds start to burn under the influence of the astras. Krishna, the protector of the worlds, immediately orders Arjuna to take back both Astras, as only a Brahmachaari can take back a Brahmaastra! Arjuna takes back both the Brahmaastras, showing clearly what a perfect Brahmachaari he was. Arjuna, who was the friend of the Askalita Brahmachaari Lord Krishna, obviously knows the shastras and the ways to maintain his Brahmacharyam, though married. Arjuna ties Ahswaththaama and takes him to Draupadi, like a Yagnya pashu is taken to the Yagnya shaala. The acts of Draupadi in this following episode make even Krishna praise Krishnaa (Draupadi) for her Dharma. On seeing the killer of all her sons being brought by Arjuna, Draupadi, of the beauty of her nature out of compassion, does a namaskar to him and says as per the Vedas in the absence of the Guru, Guru-putra takes his place, so she is doing a namaskaar to Drona! It was unbearable for her having him brought being bound and she said: “Release him, for he is a brahmana, our Aacharya. Do not make his mother, Drona’s wife, cry the way I do in my chastity shedding tears constantly in distress over a lost child”. Yudhishtira, Arjuna, Nakula, Sahadeva, Saatyaki, Krishna and other queens supported the statements of Paanchaali as they were in accord with the principles of Sanaatana Dharma, of justice, merciful, without duplicity and glorious in equity. “The Guru-putra, a braahmana must not be killed - this both is by Me, certainly prescribed to be carried out abiding by the rules.” However, Arjuna has to keep to the truth as promised while pacifying his wife, and also act to the satisfaction of Bhima and Himself (by punishing the bad). So they remove the divya mani on the head of Ashwatthaama and remove his hair, as, for a veera, tonsuring is equivalent to killing him. Even though Ashwatthaama was great, in his momentary anger he committed an unpardonable crime. One must be very careful and need to think what is right and what is wrong before acting. This is what the pandavas do in the later part of the story, with the help of Krishna. They, though Kshattriyas, were not overwhelmed by revenge. They acted according to the words of Krishna, who is Dharma in human form. The power of Brahmacharyam is well shown through this story. Arjuna, who knew the Shatras, was a brahmachaari and hence could not only take back his, but Ashwatthaama’s astra too. What one gives to others is the only thing he gets. There is a famous sarcastic saying about misers which goes like this: "A miser is a greater donor than a Daata! Well, the reason is that a Daata will give away his things to others and may be uses a little portion of his money, whereas a miser gaurds his money his entire life and without he enjoying any bit of it, people take it away after he dies ". A person who does not help others cannot be helped even by the God. The miser once, somehow, gave a small piece of spoilt banana to somebody. God, seeing it as an oppurtunity to help the lamenting miser in naraka, made a stick appear before him — with which he could climb out of naraka. The miser very happy to have received the fortune, quickly began climbing the stick. Other people in the naraka, who were also longing to get out of naraka, tried to use the stick to get out. The miser started pushing down all the other people and was saying that "the stick was provided for me by God, and you cannot use it". Immediately the stick dissappeared and the miser was back in the naraka. One must always share whatever he has with others. A person who is a miser will never deserve higher worlds. Even God cannot help people who do not help others. Everyone has to bear the consequences his own karma. The easiest way is to do good karmas in the name of God, and let Him decide the vidhi. There is no need to blame the God for our difficulties. It was our own karma which gave us the difficulties. A hand is odorned with daanam rather than with kankanaas. Daanam must be done expecting absolutely nothing in return, admiring the greatness of the dana-grahita, for giving the daata an opportunity to help the grahita. Stories of great Daatas are huge in number in our Indian history, who gave away everything they had. King Rantideva is well known not only in Bhuloka, but also in the urdhva lokas for his daana gunam. Rantideva never endeavored to earn anything for himself. He would enjoy whatever he got by vidhi and when atithis came he would give them what they needed. He gave away everything he had to the poor and underwent considerable suffering, along with the members of his family. Finally, he and his family members did not even get food and water, yet Rantideva always was always satisfied — a sthita pragnya. One morning, after fasting for forty-eight days, Rantideva received some water and some paramaannam (paayasam with rice, milk and ghee). Just when about to eat them, a brahmana atithi arrived. 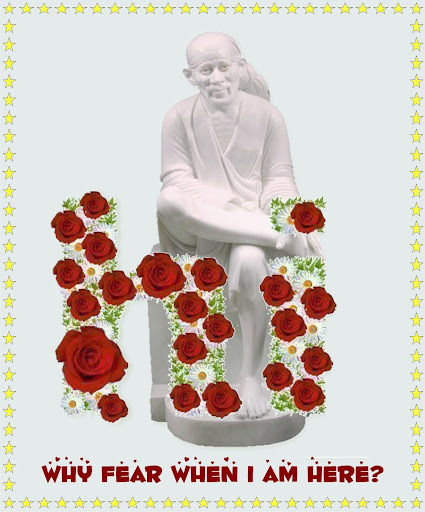 Because Rantideva perceived the presence of the Paramaatma everywhere, and in every living entity, he received the atithi with faith and respect and gave him a share of the paramaannam. The brahmana ate his share and left the place satisfied. Aggrieved at hearing the pitiable words of the poor fatigued chandaala, Rantideva spoke the following madhura vaakyas. “I do not pray to the Lord for the ashta siddhis, nor for vimukti from samsaara saagaram. I want to stay among all the living entities and suffer all distresses on their behalf, so that they may be freed from suffering. By offering my water to maintain the life of this poor chandaala, who is struggling to live, I have been freed from all hunger, thirst, fatigue, trembling of the body, moroseness, distress, lamentation and illusion”. Having spoken thus, King Rantideva, although on the verge of death because of thirst, gave his own portion of water to the chandaala without hesitation, for he was naturally very kind. The trimurtis appeared before Rantideva, satisfied by his daatrutvam and bless him. They revealed that they had come in the forms of the brahmana, shudra and chandaala in order to test his karuna, daya and daatrutvam. Because Rantideva was a pure devotee, always thinking about Krishna and free from all material desires, the maaya could not exhibit herself before him. On the contrary, for him maaya entirely vanished, exactly like a dream. All those who followed the principles of King Rantideva were the favorites of Lord Krishna and became pure devotees, attached to the Purushottama. Thus they all became the best of the yogis. The importance and greatness of the daanam, helping others self-lessly is very well protrayed in the story of Rantideva. Reluctance to earn for himself and sharing everything he had show the detatchment of Rantideva from materialistic world. Rantideva truely realized God everywhere, thus did not see any difference between all the atithis and himself. All the qualities of an uttama daanam are showed clearly in the story. All the daana-grahitas were hungry and thus deserved to be given food. Rantideva expecting nothing in return gives them everthing he has. He shows great respect to the atithis, without any kind of pride of being a daata. Kaala Mahima is great. Kaalam is unavoidable, unbreachable and un-surpassable. Only the paramatma has control of it. paramaatma Raama and Krishna respectively. thieves. Krishna’s brother Saathyaki and Krutaverma were one of the greatest yaadavas. arrogance, die in a petty fight amongst each other). Arjuna arrives after the end of the avatar of Lord Krishna to Dwaaraka. He asks the residents of Dwaaraka to vacate the island as it would sink. He guards queens on their way to indraprastha. There the most distressing thing happens. Later it is explained by bhagavaan Vyaasa about the power of time and its effects on everybody. Garuda, the vaahana of Lord Vishnu, is one the strongest. A slight fanning of His wings would make the waters of the ocean spill out, showing the ocean’s bed. However, He too had to obey the rules of Kaalam and had to do daasyam for his cousins. of the Sarpayaagam of Janamejaya, the prathama shrota of MahaaBhaarata. Their strength could not stop them from being burnt. Kaliyugam (Venkateshwara, Vikramaaditya) - 4,32,000 years. One Manu rules a Manvantaram composed of 71 Mahaayugams. so many that people no more have count of them. Imagine how tiny is the life of a human being in this! Yet a human has ahankaar that surpasses everyone’s. Many great people, however strong they are, could not surpass kaalam. with the fortune he has and stop lamenting for the things he does not posses. Dharma or for Bhaktas. So a true devotion in Him only will help us survive the ravages of time…. When travelling in the forest, with his family and Nakshatraka to the great kaashi kshetram, Harishchandra sees un-controllable Daavaagni (forest fire) sorrounding them. They do not understand the reason for it and Nakshatraka worries a lot, not knowing any way of getting out of the fire. Harishchandra worries for a different reason. He was not worried for loosing his life, but if he dies in the agni, then he will not be able to return the debt to Vishwaamitra maharshi and thus will not be able to keep up his word. Seeing this, Agnideva (sent by Vishwaamitra) tells them a way to cross the fire safely. He says anyone who says that his name is not his own name, can safely walk through him. Immediately Nakshatraka, to attract them to say a lie, says I name is not Nakshatraka and walks into the fires. Nothing happens to him and he walks back suggesting Harishchandra and his family to try out the same. Obviously Harishchandra will not say a lie, but gets worried since he will be not be able to repay Vishwaamitra maharshi. Seeing the worry of her husband, Chandramati devi does a stotram to agni saying that if she were a pativrata, then the agni must stop. Immediately the huge daavaagni vanishes and they cross the forest safely. The whole episode of Vishwaamitra maharshi testing Harishchandra starts with a conversion at Indra Sabha: A discussion will be raised to zero-in on a vratam which anyone whether rich or poor, whether king or servant, kid or elder, male or female can follow, exists or not. Vasishta maharshi suggests that satya vratam (speaking truth always) is there and tells that Harishchandra is a firm follower of it. Vasishta and Vishwaamitra both challenge each other, Vasishta saying "In the impossible event of Harishchandra uttering a lie I will leave sandhyaavandanaadi aahnikas, japa, tapas, remove yagnyopavita, become Bhrasta, have wine and behave in a way co-rishis will hate me, throw me out of there community and eventually goto naraka!". Vishwaanitra says "If Harishchandra stands my tests I will give half of my till now earned entire tapashshakti, make him rule the earth for many years and for 14 manvantaras will make him occupy the ardha-simhaasanam of Indra". Harishchandra in the end qualifies the tests of Vishwaamitra, enjoys all these bhogas and in the end with Lord Shiva's anugraham gets Moksham. Seva to parents alone is enough! Every person by birth becomes rini for parents — without whom the very existence on this earth would not have been possible, devatas — for all the panchabutas, rains, nature etc. and rishis — for giving us puraanas, shastras etc. Of these, the runam of parents cannot be paid back easily and is virtually impossible. Hence one needs to atleast do seva to them, listen and adhere to their words and give them a lot of respect. This is the least one can do to them. Our puraanas also show that one can attain moksha just by doing seva to parents. Three very ugly looking old females, suffering from terrible diseases, will be cleaning the ashram. After doing all the cleaning required, they go inside the kutir and to his surprise, three very beautiful, young women with the tejas of sun come out. Out of his usual attraction to women, he goes and holds the hand of one of the women and immediately she turns ugly like before. The woman tells Pundarika “because people like you take dip in our holy waters everyday, we get these ugly forms and have to bare with such dreadful diseases. We are Ganga, Yamuna and Sarawathi. Everyday we clean the kutir of Kukkuta muni and have his darshan to relieve the loads of paapas you maanavas leave with us and get back our divya shariraas.” She again has darshan of Kukkuta muni and all the three leave the place (They wondered why a common human, that too a bad person, was able to see them in human form at the first place). Pundarika, just to see what is there inside, goes into the kutir. He sees nothing great — no jewels, no big furniture nothing. He sees a person totally immersed in pressing the legs of his father. The person was totally engrossed in it and the only other thing he had in mind was the thought of Lord Shiva.Seeing Kukkuta muni, Pundarika asks him many questions about the woman etc., but sees that the muni gave back no reply, since the muni was totally engrossed with the seva to his father. Not able to bear the rejection, out of ahankaar, he tries to kick the muni and immediately falls on the ground loosing both his legs. Pundarika cries for help and the muni gets disturbed by his cries and attends to his help. Pundarika begs the muni to pardon him and the muni immediately pardons him. Pundarika realizes all the mistakes he has done in his life and asks the muni for prayaschittam. The muni says that there is nothing that can help him except the seva to his parents and even a bhrashta can achieve moksha by serving his parents. Immediately Pundarika, pulling himself with his hands, sets off in the search for his parents, whom he drove away from his house. He truly and whole heartedly repents for his mistakes and continues his journey to his parents. He does not think about food, water, his bleeding legs, the only thing he has in his mind is to search for his parents, beg them to pardonhim and do their seva. He does not care about thorny paths, heat of the sun, steep mountain cliffs etc. and continues his journey. When he falls off a cliff, Lord Krishna used to catch him safely and let him move on. At all stages,Pundarika’s heart was filled only with the want of doing seva to parents, and hence Krishna bhagavaan used to help him all along. Finally, he reaches the kutir of his parents and falls on their feet. He begs them to pardon him for being so cruel to them and pleaded them to grant him the chance of doing their seva. The parents immediately pardon Pundarika and Pundarika again gets back his legs. From that day onwards, he always used to be busy doing seva to his parents and always think of Krishna paramaatma in his mind. Unable to bear the separation from his bhakta, one day Lord Krishna comes to see Pundarika. He waits at the door of Pundarika’s kutir and calls for him. Pundarika sees Krishna, the paramaatma for whose darshan even great munis spend their entire lives in tapas, standing at his door. But Pundarika was at that time pressing the feet of his parents, who were asleep, with legs in his lap. Krishna asks Pundarika to come and take Him inside. Pundarika, seeing the Lord becomes very happy, but asks Him to wait a bit, since he cannot stop seva to his parents and he will come after taking their permission. Lord Krishna waits at the door and by being touched by his lotus feet, Indra who was lying in the form of a stone because of the curse of Lord Shiva, takes back His original form and leaves to Indraloka. Meanwhile Pundarika’s father wakes up and asks him what happened. Pundarika says that Lord Krishna had come but he was unable to receive him. Immediately Pundarika’s father runs to receive the Lord, but does not see Him. He then asks Pundarika to call Krishna. Krishna appears immediately on the call of Pundarika and blesses moksha for Pundarika, his wife and his parents. Krishna also stays permanently at the house of Pundarika to bless bhaktas and it became the well known kshetram of Pandarpur. The kshetram is so ancient that the legs of the Pandarnath’s idol are half eroded just by the touchings of bhaktas! 1. Only because Pundarika did true seva to his parents, did Krishna wait for him at his door and immediately come when called by Pundarika. This shows the importance of being obedient to parents ans doing their seva. 2. Seva of parents is the most basic thing that the Indian culture prescribes. A person going against the word of his parents will not be liked by God. for their austerity, vastly learned in the Vedic scriptures and saintly in their behaviour. many yagnyas and executed various pious welfare activities. this difficult situation. However, both the braahmanas go away leaving the cow. mistake and spent a very long time alone in the well, always doing Bhagavat-dhyaanam. everyone flies to urdhva lokas in a divya vimaanam. 1. Even for a great person like Nruga, one mistake, which he did unknowingly, made him experience the result of his paapam. Thus one should be very careful not to commit any kind of sin even unknowingly and lead a very ideal life. 2. Some or the other time, one must experience the results of his paapa or punya. However, if one surrenders himself to the God, He will lift you from the samsaaram and in the end give you kaivalyam, as Krishna did to Nruga. 3. Since Nruga never forgot remembering the Lord and the Lord was impressed by his great acts, Krishna granted him urdhva lokas in the end. So the end result for a good person will always be good. Our Indian culture is great. The rules it provides make everyone lead an ideal life. According to our shastras, it seems, a person who blames others (unnecessarily) gets half of the entire paapam of the person blamed and in addition gives away half of his entire punyam to the person blamed! So there a big loss for the person who blames and a big gain for the person blamed. The following is a small story showing how careful one needs to be while doing Dharma nirnayam and eventually blaming others. Once a poor braahmana, with hunger, came to a person’s house and asked for bhiksha. The kind woman in the house took pity on him and immediately offered food. She asked the brahmana to sit under the shade of a huge tree in their house and she brought food for him. Before the braahmana cleaned himself, prayed to the God and started eating, a very unfortunate thing happened. There used to live a poisonous snake under the shelter of the tree and vidhi vashah it spilt its poison and it directly fell into the food the braahmana was going to eat. The braahmana unknowing that the food is poisoned, ate food and died. Now, who needs to be blamed? Is it the woman who gave the food, or the snake or the owner or the braahmana himself. It seems that the person who decides and makes a decision that a particular individual is to be blamed will get the brahma-hatyaa-paatakam. So did you notice how critical is a dharma-nirneta’s role. How many shastras should he have learnt before taking the seat of dharma-nirneta? How careful and unbiased should his thinking be? Imagine how great is Yamadharmaraaja to be able to do perfect justice for so many people for such huge amount of time. That is why He is called ‘Samavarti’. He has one of his legs in Shri-chandanam and the other in fire. Both are same for Him and thus very unbiased and impartial. A lot of thinking needs to be done before putting blame on others. A person should be highly knowledgeable and learned in order to be a dharma-nirneta. That is why it is customary in our Indian culture to always say “As far as i know, this is Dharma….” or “This is what I heard from my elders, hence …..”. Atleast on hearing to this story, we hope all the govt. officials will be still more careful in performing their duties. The pathetic state of today’s nyaayasthaanas is well-known. The power given to a nyaayaadhikaari is immense. The story also shows how impartial, unbiased, honest and most importantly learned must the nyaayaadhikaris be… One may assume everything is going fine, but at sometime or the other one must experience the effects of his own karma. The easiest way is to do nishkaama karma and surrender everything to God. Then one will not be attracted to the benefits of karma, whether good or bad. Page created in 0.375 seconds with 69 queries.